Can’t get moving today, have no momentum. 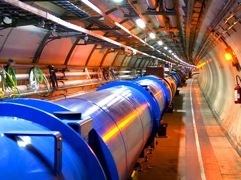 I’m here with zero spin like the Higgs particle and I read about it hurling around in Switzerland, teasing the physists with it’s revealed truths. But it appears to still fit into the standard model, nothing new yet, nothing more exotic and it shows them we only understand 4% of our universe. And I also continue to collide around in here, charging into things, smashing myself into memories, exploring this strange new world, our new civilisation, understanding only fragments of how we still exist. up in here, by the old stereo, your old record player from the museum of a life and through the smokey grey Bakelite it says ‘Thorens’ with a flourish, TD160B MK11, apparently. 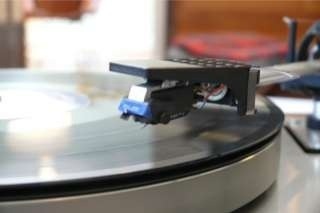 And the stylus has a small triangle on its tiny brushed steel finish. The counterweight sits still, round the back, the softly boxed ‘disc-cleaner’, a furry product of time. And in front of it an old beaten coaster, the image peeling up at the corners, the one with the dappled horse that I bought from the country park, way back in that May when the hayfever tablets worked well. Our son’s redundant Playmobil lies down, redeployed as a statue, on it’s back fighting no fires, looking sideways to the things I can’t see. underneath, wound slippy brown ribbon, imprinted with days. I need to play them some time soon but not yet. And I look down passed the Lost calendar bought for you before I watched it and the tuner, black crackling brute, that had begun to loose it’s growl, in those months before and the radio over the tape player with its satisfying click clunk of depressed buttons. And the memory of it’s red lights, (5 in from the left) in the time when it lived behind the settee arm, in the other home, in the other world. to the background radiation of our son playing with friends, loud, up here and he needed to be careful not to bump it, with it’s delicate old mechanism, fragile but still working, handle it all with care. And I remember the huge old speakers, the white monsters carved by your Dad and the stories of hoiking them down from the North and up the Southern stairs. They squatted in our bedroom until the move evicted them and they were sold and removed to somewhere else, somehow, in a time before eBay. But the cupboards that sat in between them still sit, their place in the garage where they took root, in all the new plans of new homes. And I draw in the dust remembering your music, the compared lists, the groans and distaste, the raised eyebrows and head shaking. 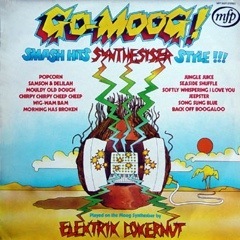 Just remembered Go Moog! oh my god, how I laughed and how I wound you up about it and getting the ‘image’ right between the speakers. Hi-Fi, obviously, I really shouldn’t have said stereo…And I remember the jazz and the name choosing for our son and the track you wrote to me about, hundreds of years ago, before txts, without email, in a chat-free, app-free world, when we held a pen and used a stamp and we waited, waited to see what would happen. And I found the track again, somehow, in that week, despite my carnage and played it again on that day. And I’m back in the old Orion with Meatloaf before the first meal, the creamed out trout and slapstick corn, the meal we never really lived down. And the endless journeys in the Sandbanks days, the naff tunes that came to have their meaning, the ones that always reoccurred and the concept albums from a 70’s teenage room. The disparaging looks at my collection, the what and the why and The Who and how we swapped on Crowded House and became Keane in the closing days of forest trips, in the car, by the lyrics we couldn’t keep up with. And I sourced out some Be bop Deluxe as a joke and moved you into Rufus Wainwright with that song that I haven’t played since. I’m sat here now with all your vinyl boxed and inaccessible but the names and sounds are pouring and images spinning hard and fast. The Christmas dancing, the corporate meals, the waistcoats and velvet and the old car radio, up loud and personal, shaving off the angles on the roundabouts as we hurtle late at night. And downstairs, almost camouflaged behind our first pot plant, (the one that survived the years and moves, its glossy veins mapping our growth,) sits your leaning tower of CDs. I rumbled through it in that week back then, stumbling to find what to play, wanting Tom Waits but not knowing where to start. So I replaced them as best I could, in your special order, not alphabetical, (of course not,) too simple. Placed them back in their unique genres, your categories of ‘taste’. Haven’t been near it really but it’s calling, from the old wood, it’s chipped lips, the thin plastic covers, dog eared gatefolds, a frozen picture of movement and verve. And high up above me, shiny hidden blackness, a toast rack of 45’s, brittle skin and grooves, with Epic signposting, no doubt Sweet, smiling down at me. I can hear them all, playing over layed, a turned down tumult of you and the Swing, just remembered the Swing and the joy of zoot suits in Malcolm X. And it’s coming at me with the speed or firing particles, a need to hear some, to spin inside, to crank it out loud and blaring, like I used to, like you used to, when there was dance without restraint and we were younger, we were us, with our collection of collections and the sounds spun out of our old universe, lit by a distant sun. and forming new questions, in these places, in this soundtrack of our life. Today in the music of our spheres.